FRANKFURT (Reuters) -- Volkswagen today said it will reduce shifts and lay off at least 150 workers at its Russian car plant in Kaluga. The plant will work four days a week from April to July this year, while in May the number of shifts will decrease to two from three, VW said. Production will be suspended for two weeks on May 5-8 and May 12-15. "In the first months of 2015 the Russian auto market continued to feel the impact of a weak economy, significant price increases and high interest rates. 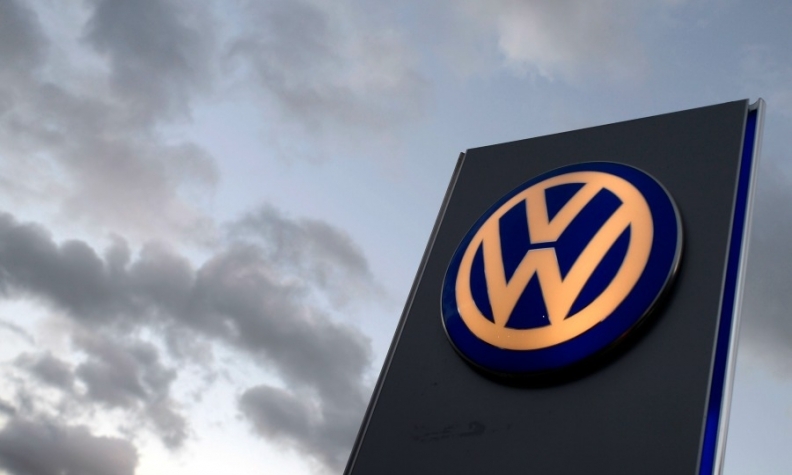 We don't expect that to change in coming months," VW said in a statement. The company said its Russian investment plans were intact, with the construction of an engine plant and an auto parts warehouse on schedule. "The Russian market still has a significant growth potential long-term," it said in the statement. VW Group builds the Audi A6, A7, A8L, Q5, and Q7 together with the VW Polo and Tiguan and Skoda's Fabia and Octavia models in Kaluga, according to Automotive News Europe's European car assembly plant map. Daniel Schwarz, a Frankfurt-based analyst for Commerzbank, said: "We are expecting another passenger-car market decline of about 25 percent in Russia this year. Adjusting capacity makes sense." VW has already sent more than 100 workers from Russia to Germany for training programs and will transfer some employees from Kaluga to the nearby engine factory or the company's warehouse operation outside Moscow, company sources said. Sales of VW Group vehicles in Russia dropped 27 percent to 27,527 in the first two months, according to data from the Moscow-based Association of European Businesses. The group's market share is 11.3 percent, making it the No. 2 group by sales after the Renault-Nissan-AvtoVAZ alliance, which had a 34.7 percent share. VW is the latest western carmaker to change direction in Russia as economic sanctions hamper growth and consumer spending. General Motors said last week that it would idle a plant in St. Petersburg and halt sales of its Opel brand and most Chevrolet models, all but abandoning the market damaged by fallout from President Vladimir Putin's annexation of Crimea from Ukraine. Global automakers started to reduce shifts at Russian factories last year to counter contracting demand for new vehicles as the ruble weakened against other major currencies. The downturn caused ripple effects across the industry as many car manufacturers had previously invested heavily in production capacity in the Russian market. The country had been forecast by analysts and industry executives to overtake Germany as Europe's largest sales region before the economy faltered.